This is an actual photo of a gang of 16-year-olds storming the ratings board. Or not. StarCraft II has tentatively been given an Adults Only (18+) rating in South Korea, causing Blizzard a certain amount of consternation. Blizzard has 30 days to appeal the rating. 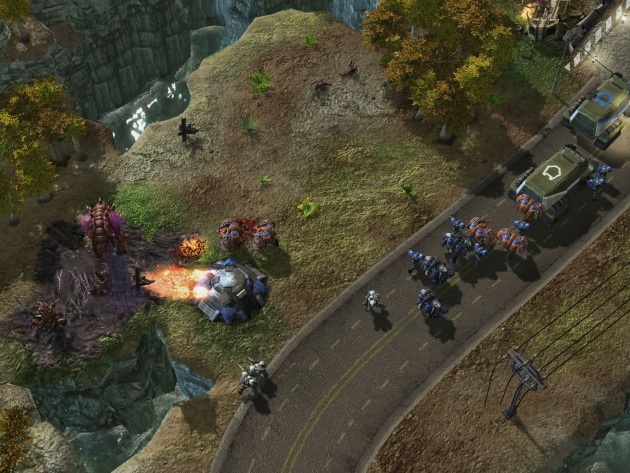 If you think that volcano caused chaos and mayhem, you obviously aren’t familiar StarCraft‘s significance in South Korea. The game is practically an industry all to itself over there, giving rise to computer cafés called bangs. For as little as $0.50 an hour, a gamer can kill an hour of his or her day playing that most popular of games in StarCraft. Well, that’s how it used to work. Should the Adults Only rating stick, untold numbers of teens will find themselves without access to one of the biggest sequels of all time. Italics mean business. Keep in mind that all of the above information is, at the very best, second-hand, as I’ve never been to South Korea, nor have I played StarCraft for any significant amount of time.